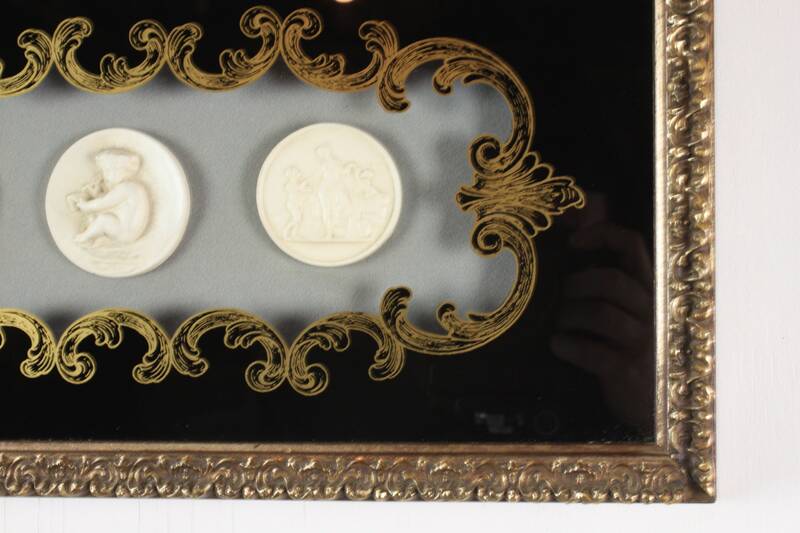 This wonderful piece of wall decor was made by the Turner Mfg. 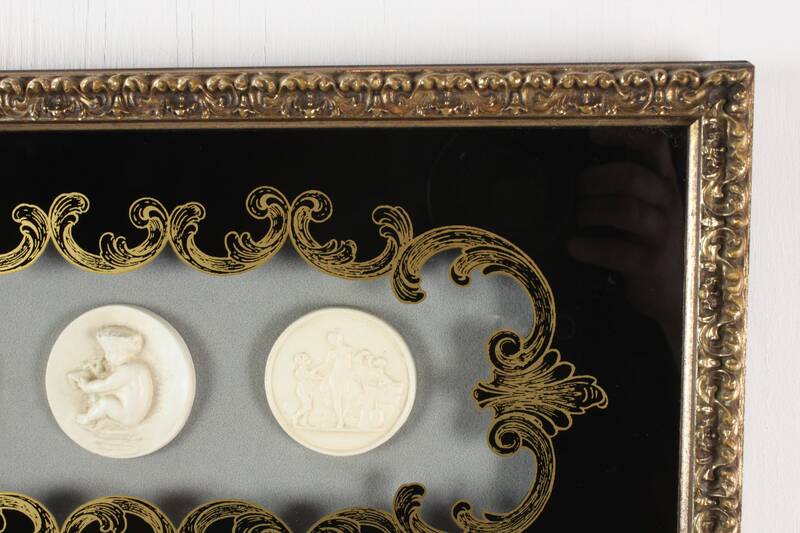 Co. and is in exceptional condition for its age and even retains the original vintage labels! 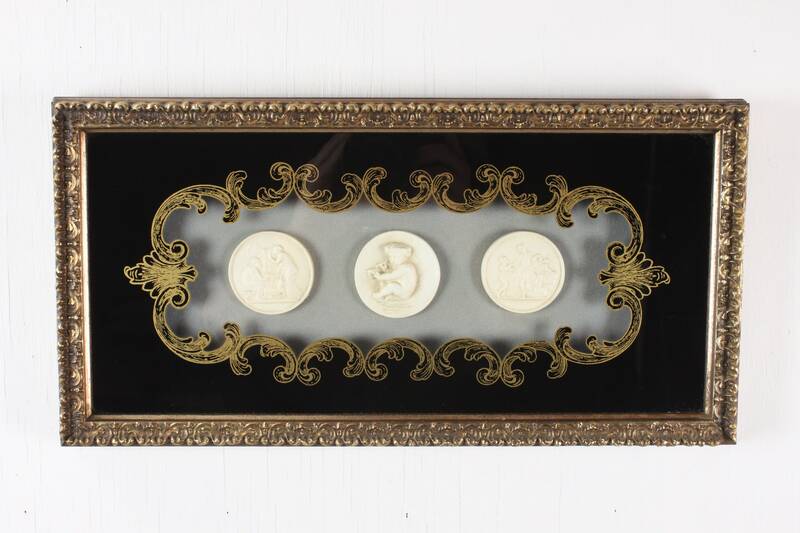 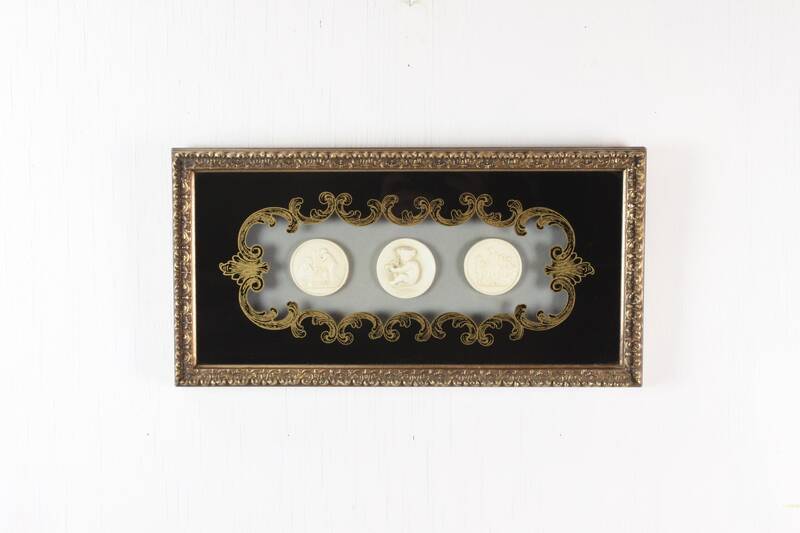 This piece features a simulated gilt, gesso frame made in a french style, reverse painted glass and a triptych of ceramic medallions on a baby blue field. 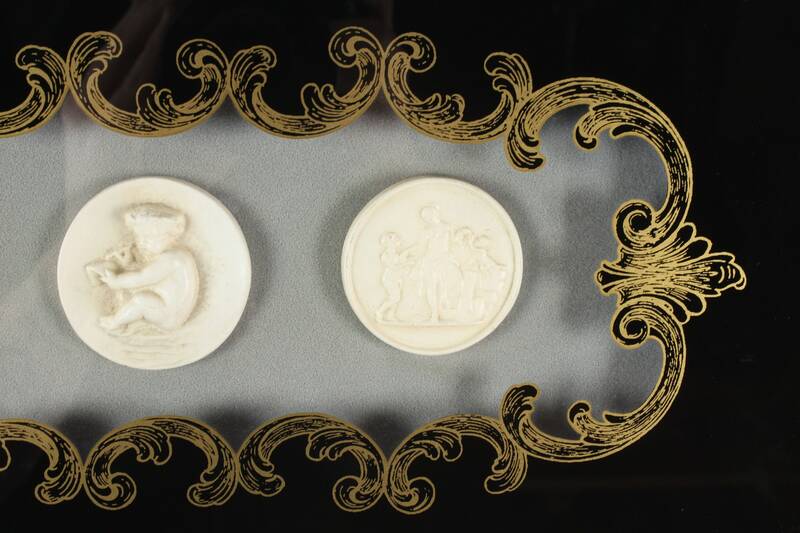 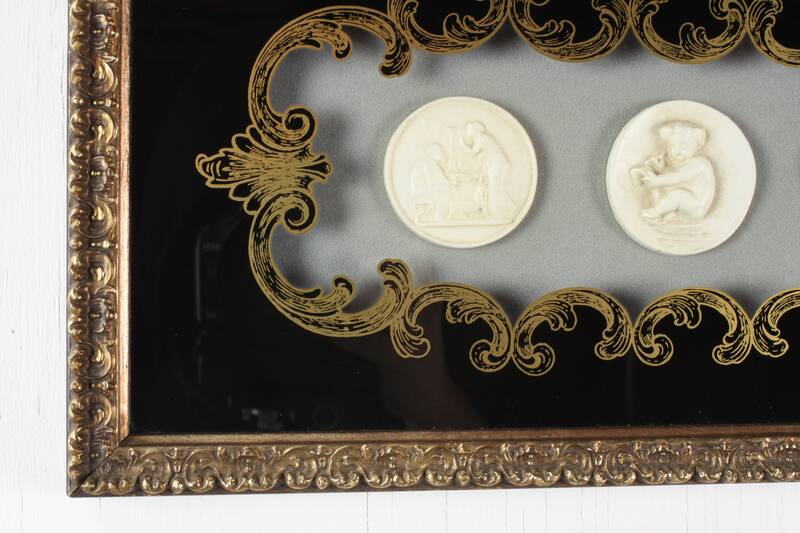 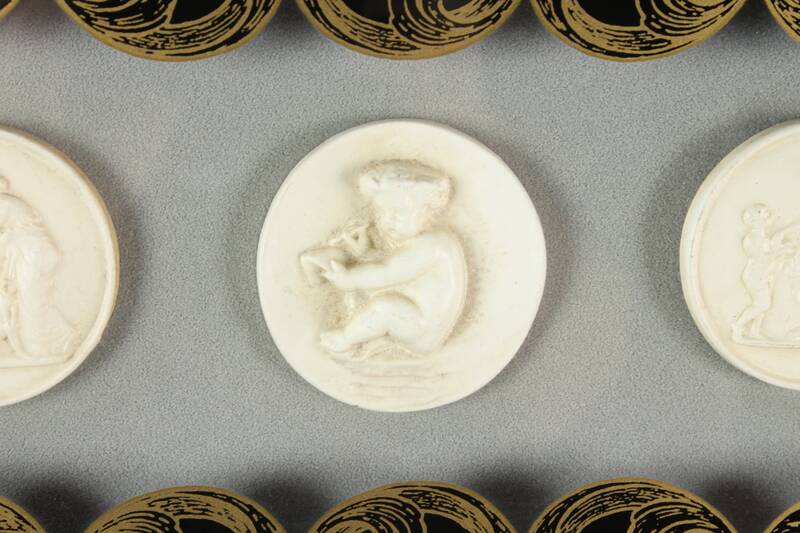 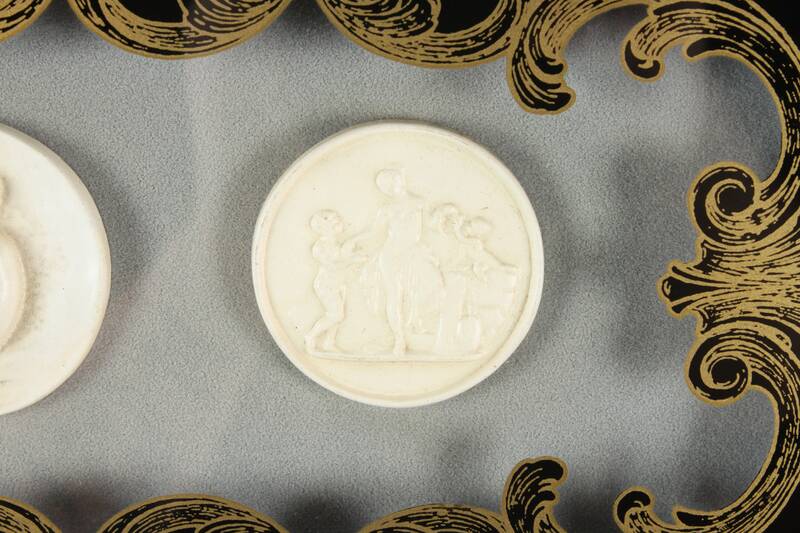 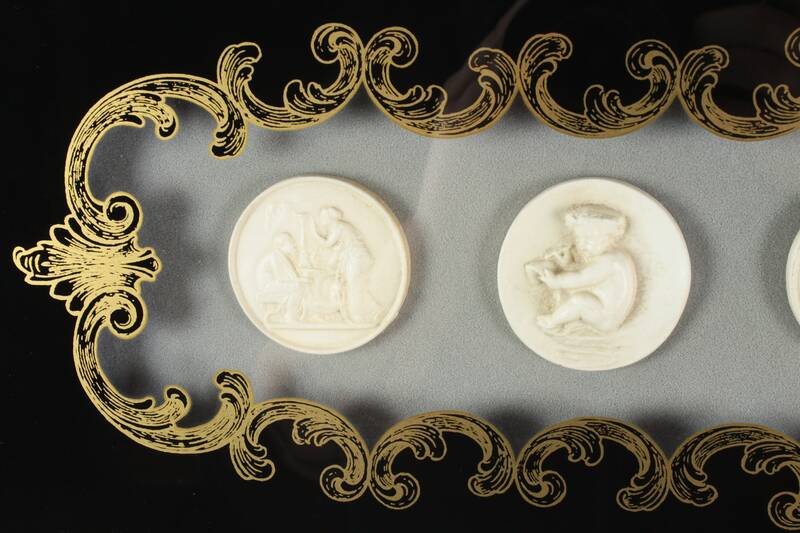 The medallions feature the images of cupids and traditional Grecian figures (possibly lovers). 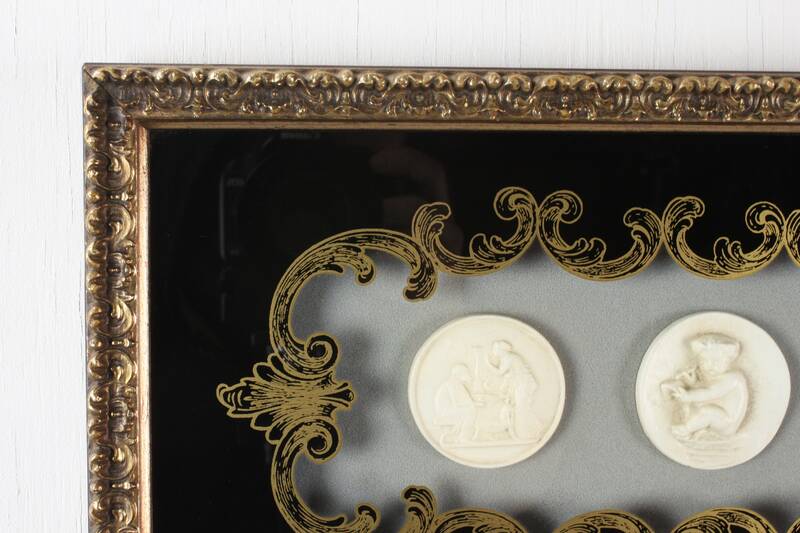 This wonderful piece of Mid Century wall decor is the perfect piece for someone looking to add some authenticity to their vintage home!